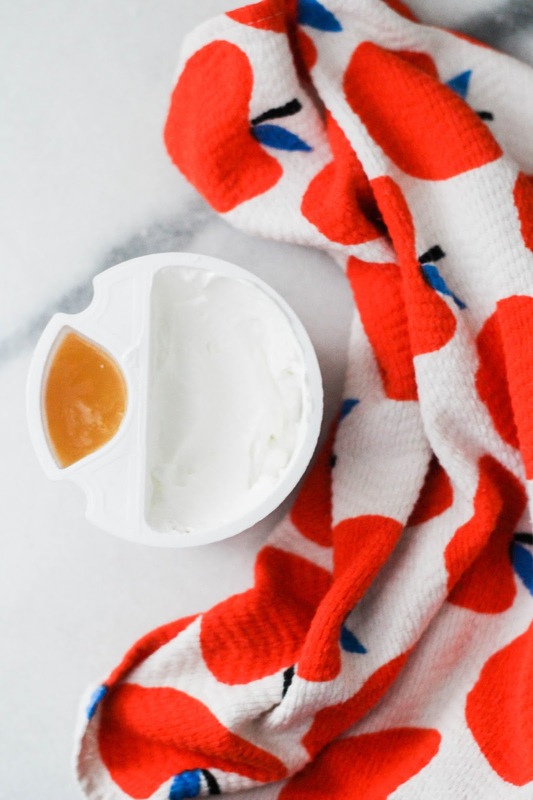 This post is sponsored by the Everywhere Agency on behalf of FAGE; however, all thoughts, opinions, experiences and motherhood skills are my own. So, as it turns out, I am not a Morning Person. If there is a morning related task one is supposed to accomplish in order to have a successful day, I flat out skip it. Waking up before my kids, not snoozing my alarm, making my bed, cooking and eating a well balanced meal - I say hard pass to all of it. I'm honestly lucky if I put on real pants, brush my teeth and manage to hustle my kids out of the door in time for preschool drop off. But here's the thing - I'm reaching the stage of Mom Life where I've got to start enforcing the behaviors that will supposedly set my kids up for success and, despite my own morning shortcomings, I really do think my children will benefit from a little AM hustle. I set a goal at the beginning of the year to whip our mornings into shape and while I'm probably never going to be the mom who wakes up before her kids, I am now the mom who at least spends a few minutes considering the possibility before turning off her alarm. In all seriousness, I have implemented a few changes over the last 8 weeks that are really working for us, so I thought I'd share, in case, you know, you're not a Morning Mom either. This advice is clearly not Rocket Science (baby steps, people, baby steps!) but I honestly didn't realize how much I was leaving for both myself and my kids to accomplish in the few short minutes before we rush out off to school. Seeing as most of it could be either completed or prepped the night before, I was legit punishing everyone by expecting us all to be in top form first thing in the morning. Now I make sure the following things are checked off my list before I fall into bed at night: the kids backpacks are packed, their lunches are made, their morning sippy cups are filled with milk and waiting in the fridge, I take stock of our breakfast options and load any miscellaneous stuff I might need to run errands etc into my car. It probably only takes me 10 minutes or so to whip it all together but it allows for our morning to be less chaotic and less, um, yell-y. 2. 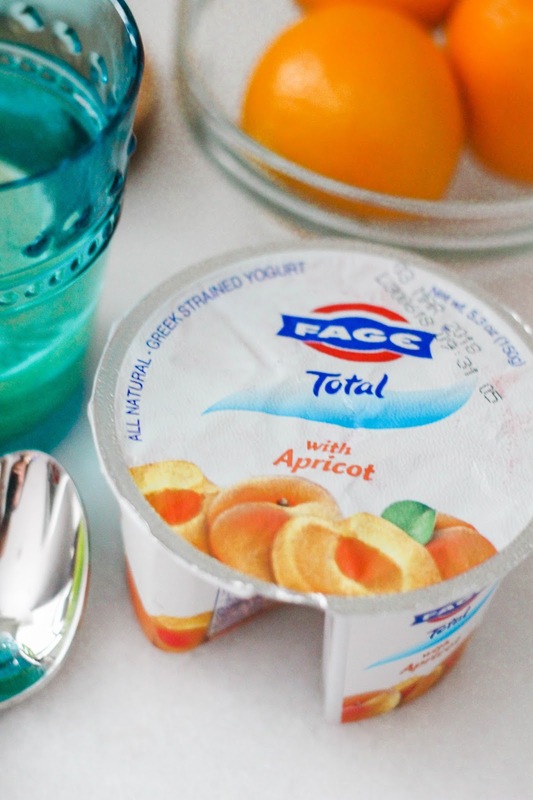 Keep easy, healthy breakfasts on hand, not just for the kids but for me, too. I realized that I was always stocking the kid's breakfast stash with granola bars, yogurts and the occasional Pop Tart but I never made the effort to ensure that I had quick, healthy breakfast options on hand for myself. I clearly had no intentions of preparing a Hungry Man Breakfast for anyone in my family, so it was time to get wise and stock up. 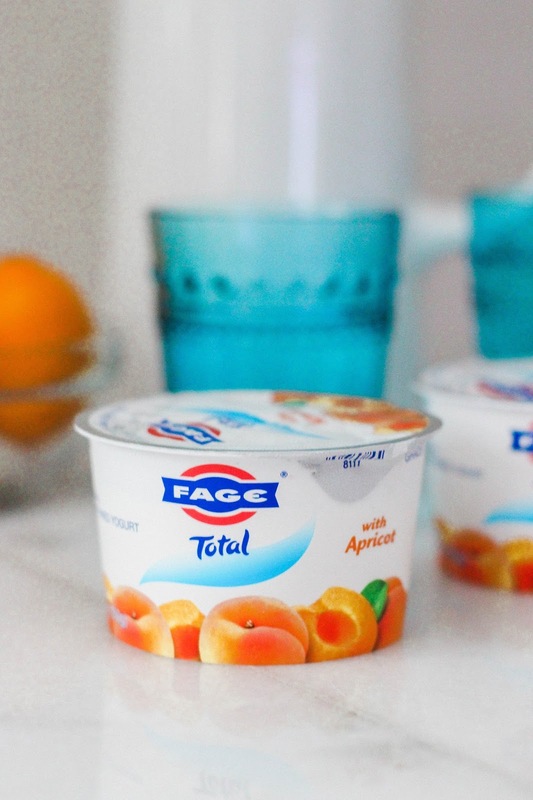 My go to is a FAGE Total Split Cup whole milk- packed with protein (11 grams! ), each serving contains all natural, strained Greek yogurt with a fruit topping. These handy treats are available in three fat levels, whole, 2%, and 0%. 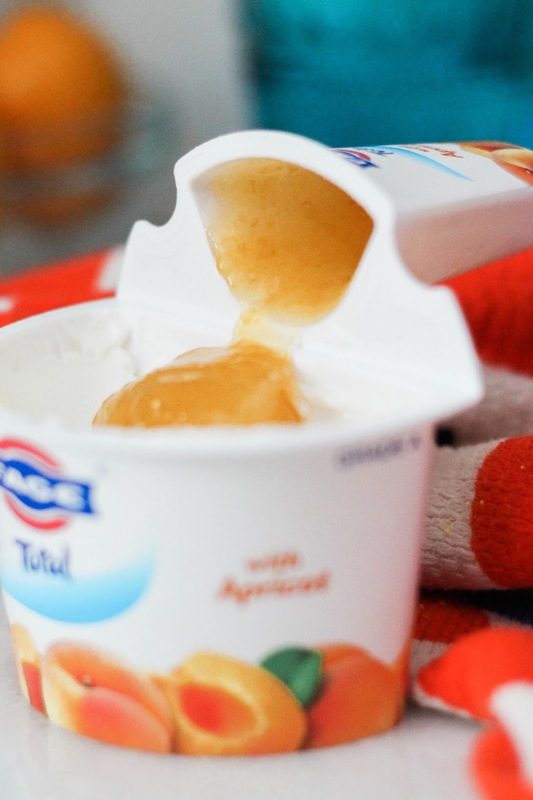 I am an apricot girl and, as it turns out, my big boy loves the apricot split cup, too! I try my hardest to eat my split cup in front of my babes, no matter how short on time I am, so that they both witness my excellent morning habits and stellar nutritional choices - you know, despite what they've seen so far in their little lives. One of the hardest things for a SAHM/WAHM to do is carve out a little time for herself. Add in my love of the snooze button and I wasn't allowing myself even a minute to slap on real-ish clothes, run a brush through my dry shampoo laden hair or dab on a little concealer. I would spend the day feeling super blah about myself and, frankly, it wasn't my best look. Now I have our morning routine locked in and it includes a small (think like 5 minutes small) chunk of time for me to get it together. Once I'm dressed and ready, the baby is ready for her close up and my big boy is on deck. Screens slow us down in the morning and provide one more thing for my son and I to bicker about, so I've banned them - for all of us. I was wasting too much time scrolling through social media, catching up from the night before to keep us on schedule and clearly was not setting a good pace or tone for my babes. Once we roll out of bed, I drop my phone straight into my bag and try crazy hard not to pick it up again until the kids are in their respective class rooms. I will say that my son's tablet is his current love so I keep it on hand as a little, shall we say, motivation. If he is a great listener, a helpful brother and our morning goes well, he earns the right to rock out to his Amazon Fire on our 5 minute drive to school. What can I say, I'll do whatever it takes to make it through that morning hustle! What do you do to make sure your mornings are less chaotic? I need all of the tips and tricks I can get!